This is a massive, tall building of Norman origin, mainly 15th Century, but restored in 1868. 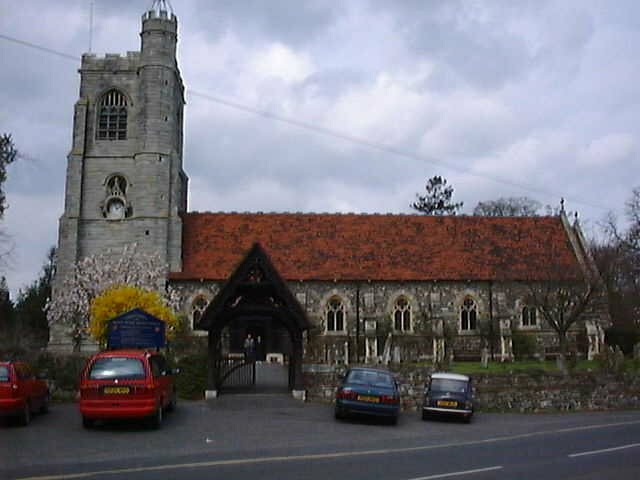 The embattled tower is of Kentish ragstone and has a turret and six bells. There is some Norman work in the walls and the timber south porch is restored 15th Century. There is some early stained glass and an octagonal font dating back to 1662.